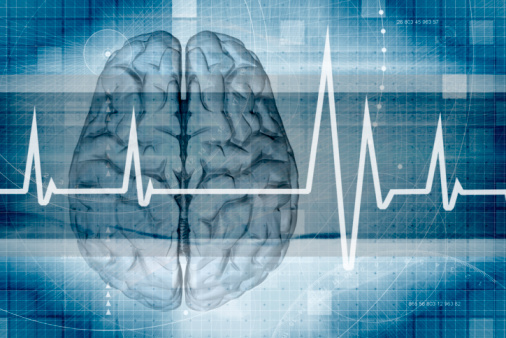 Home » Brain Function » Overlooked Data Key to Curing Dementia and Alzheimer’s? Well, a research team from the University of Illinois had a similar feeling with their recent discovery. The team came across a new technique to photograph and image pulse pressure and elasticity in brain arteries that might shed new light on the ability to predict, prevent, and maybe even treat conditions like dementia and Alzheimer’s disease. Blood’s ability to get into the brain, via arteries, is a key component in mental function and cognition. Your cerebrovascular system is a crucial part of healthy brain aging and disease prevention, and having highly elastic arteries that promote blood flow might result in lower risk for stroke and cognitive decline. Researchers often shine near-infrared light into a patient’s brain to measure their neural activity; however, the data usually isn’t analyzed to look at pulse and brain function. By looking at this data, doctors will be able to determine the health of your cerebrovascular system and assess cognition and brain physiology. Before, this important data was completely overlooked! As I understand it, the research team tested the new measurement on 53 individuals and immediately discovered that arterial stiffness is directly related to cardiorespiratory fitness. The more open the arteries are, the more blood flows to the brain. Exercise and stress reduction are very important factors in keeping arteries elastic. It’s quite possible that people under long-term stress may be at higher risk for arterial health problems, therefore making them more susceptible to losing cognition, brain function, and falling victim to dementia or Alzheimer’s. More research is required, but it’s believed that stress can create vasoconstriction (the inability of blood to move through arteries, caused by tightening) and high blood pressure, which can have a negative impact on the brain. This discovery could be a huge help in diagnosing and preventing cognitive decline, but it also further reinforces how important exercise and stress reduction are to your overall health. Beckman Institute for Advanced Science and Technology, “Taking pulse of aging of the brain,” ScienceDaily web site, August 18, 2014; http://www.sciencedaily.com/releases/2014/08/140818153928.htm.